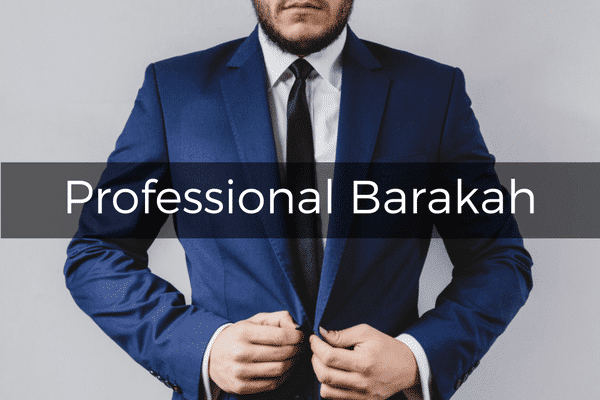 Download our 21 Sources of Barakah Resource Sheet + Infographic! Human Resources is pivotal for the success of any company. It is what keeps the business running or drowning. We are advised to hire people for education and experience, judgement and taste, attitude and aptitude. Even after sorting that huge pile of resumes and establishing different levels of screening, we miss those rare top talents born for that particular work. The Qur’an describes the story of Prophet Musa (Moses) and his interactions with two young women and their father in Surat Al-Qasas (Chapter 28). As I was reflecting on this passage in the Chapter, I realized that it contains some powerful lessons for us to learn how to effectively hire top talent. Musa offers them help and then goes to sit under a tree making a supplication to Allah for some desperate help. Look for people with a proven CV: The woman noticed Musa’s skills and character when he helped them out earlier in the day. When looking for top talent for our companies, we should not hire people based solely on what they tell us they have done. Let them present a few of their achievements. Even better, always be on the lookout for top talent outside your official hiring lines (e.g. at trade conferences, airport business lounges, even non-profit board). When you want to hire somebody, start with a referral: The daughter offered a strong reference to her father to hire Musa . We all know that references are powerful ways to vet our talent and make sure that your talent truly matches their CV, but how many of us start the hiring process from referrals? Won’t it be cheaper and more effective to start the hiring process by asking for references to top talent from our immediate circles? (Yes, I’m aware this might not work for some large companies or highly competitive industries – but for small/medium businesses, this can be effective). ‘Skill + Character’ is the key: Notice the two qualities that the woman mentioned to her father “strong and trustworthy”. When looking for talent, we should not always look for the most skillful, we should also look for character and trustworthiness. Skill alone doesn’t make talent. Skill + Character is the most powerful formula. Think of developing 2 sets of questions for the interviews: one that judges skill, and the other that judges character. Start with skill: Having said that, notice how strength/skill was mentioned first and then trustworthiness. And this is another important lesson. Sometimes we try to find people with good character, but they don’t have the right skills. So if we had a choice between somebody who had a good character but was not skillful (and is not willing to learn) and somebody who was skillful (but didn’t have the right character – yet ready to change), we should choose the later and try to minimize the impact of their character through coaching, feedback and strong supervision. Make a tailor-made offer: In a corporate environment, we are used to giving cookie-cutter offers that unfortunately turn off top talent. If you want to attract top talent to your company, offer them what they really want and what matches their needs and aspirations. Musa had no job, was broke, and was not married. The father of the two women gave him a job, a family, and presumably a place to stay. Ask your top talent what they want in life and how your company can help them achieve their goals. These does not have to be material offers (i.e. salary, car, house), but can be non-material perks such as the ability to work from home, and being able to travel to see his/her sick parent very often. Offer a fixed term contract that is linked to a specific role: I loved the book ‘The Alliance: Managing Talent in the Networked Age‘ where it talks about the death of permanent contracts, and the birth of short-term contracts that are linked to specific projects/milestones or ‘Tours of Duty’. This is essentially what Musa was offered – a short term contract (8 years) to fulfill ‘certain’ duties. Promote your company: Notice how the father after making the offer said: “You will find me, if Allah wills, from among the righteous.” If companies want to attract top talent, they need to be ‘righteous’. If I come to your company and you do not treat me well, or have a terrible and skewed performance management system, and make my life stressful, you would lose me. Think of righteousness as an obligatory and necessary virtue for a corporate citizen as well. These were some of the interesting insights that came to my mind as I was reading this passage. What are your thoughts on this story? Share with us in the comments below.